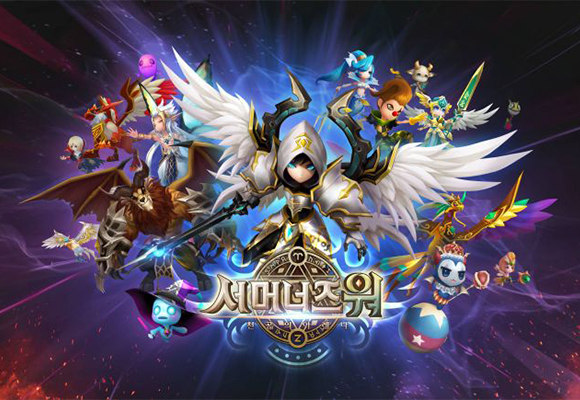 South Korea’s Kosdaq-listed mobile game publisher Com2uS Corp. said Thursday its mobile game Summoners War has achieved a milestone of 100 million downloads worldwide since its release in 2014. Of all downloads, 32 percent were earned in America, 18 percent in Europe and Oceania, and the remaining 50 percent in Asia. Summoners War: Sky Arena is a mobile turn-based strategy massively multiplayer online game created by Com2uS and released worldwide in 2014. It has ranked top in the mobile app rankings by revenue on iOS App Store in 74 countries and Google Play Store in 20 countries. To celebrate the milestone, Com2uS is preparing a short animated film for the mobile game’s large cult following in North America, Europe and Asia in partnership with U.S.-based Skybound Entertainment. It is also planning additional events to further raise the brand awareness of the game.